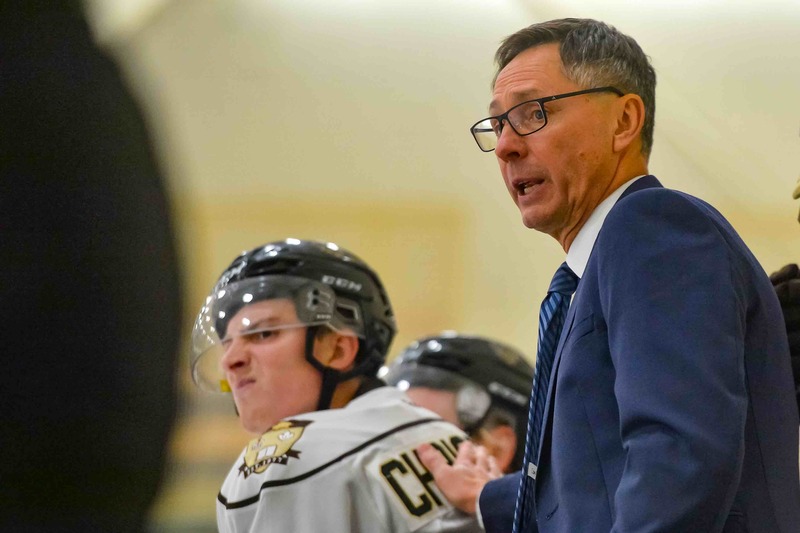 Sitting out of a playoff spot two weeks into the season, Coach Mike Sirant and the Bisons men’s hockey team were looking to grab some valuable points and prove that this is, in fact, a team to reckon with when they visited the Mount Royal Cougars in Calgary this weekend. 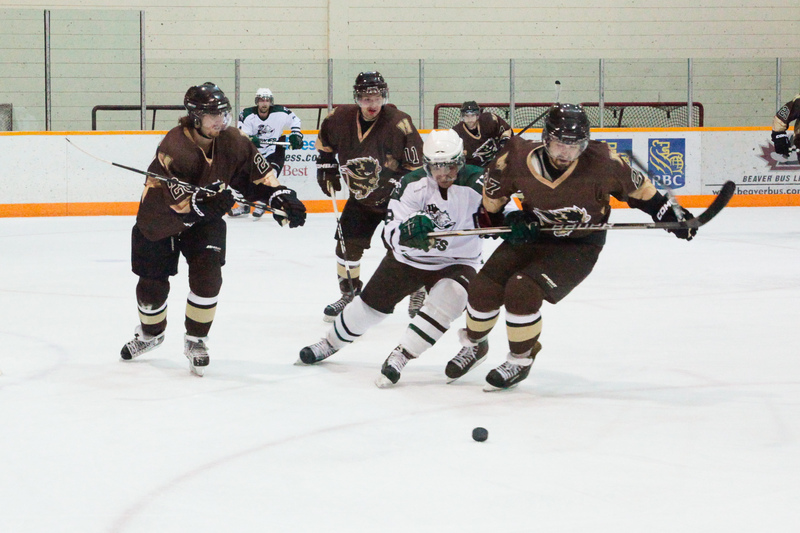 The Bisons entered the match with one win in four contests, with that victory coming last week in a game against the Saskatchewan Huskies. The Cougars came into the weekend with an identical 1-3 record. The Bisons came out strong, peppering Cougars goalie Justin Cote with shots, but Cote kept the Cougars in contention for most of the game. The Cougars grabbed the lead with 2:16 minutes left in the second period when Jesse Tresierra got one passed Bisons goalie Jesse Deckert. After two periods it was 1-0 Cougars despite the Bisons outshooting Mount Royal 22-12. The Bisons finally solved Cote 8:02 into the third, when Luke Cain notched his second of the season. The floodgates would open with the man advantage as goals from Captain Dane Crowley and Tyler Dittmer came four minutes apart on the power play. Matthew Lowry would put this game away with his first of the year with 53 seconds left, as the Bisons won 4-1. Jesse Deckert turned aside 16 of 17 shots faced in the effort. The second game of the two-game set came on Saturday afternoon, with this one starting out closer than the first game, with both teams getting chances in the first period, but neither finding the scoreboard as it was 0-0 after one period of play. The second period saw more life from the Bisons as Jeremy Schappert opened the scoring 3:16 into the period. The Bisons added to their lead when Jesse Paradis knocked one in with 6:59 left in the period. The Bisons scored another in the dying seconds of the period on the power play when Tyler Dittmer put in his third of the year with four seconds remaining giving the Herd a 3-0 lead after two periods. 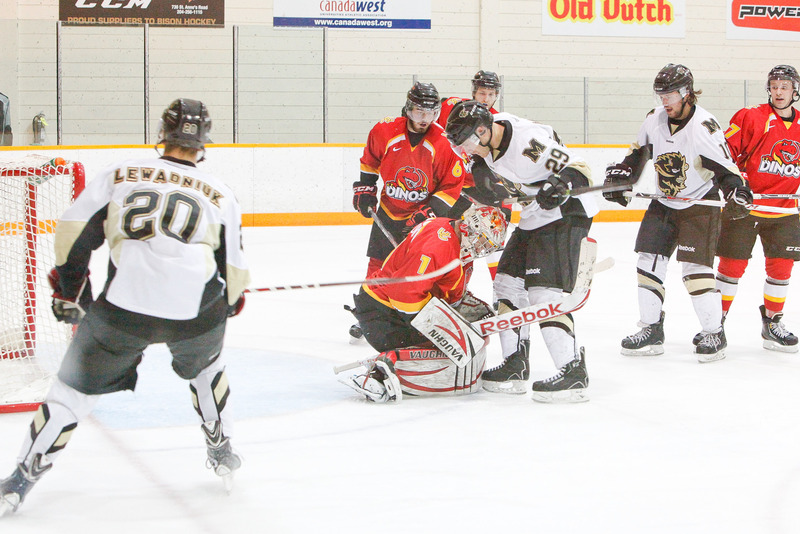 The third period turned into a nail biter for the Bisons as the Cougars chipped away at their lead. First Tyler Eskesen scored with 4:36 gone in the period, then Nick Bell made it a one goal game with 11 minutes left on the board. After two Bisons penalties for goalie interference, the Cougars’ Mike Brown tried to exact some revenge by taking a run at Jesse Deckert, which resulted in a whopping 32 penalty minutes for his efforts. The Cougars killed off the minor and ended up with a power play of their own with just 2:57 left. Frantic moments went by as the Cougars threw everything they had at their opponents, but the Bisons stood their ground, killed off the penalty and held on to win 3-2. Jesse Deckert got his second win in as many nights with 27 saves on 29 shots. With the wins the Bisons improved to 3-3 on the year, rising to sixth in the Canada West conference and still very much in the thick of things. The Herd plays next weekend at the University of Calgary, as they take on a 4-2 Dinos squad that went 1-1 against Regina this weekend.